Renee Poussaint, Emmy award-winning national news correspondent for CBS and ABC, is the creator of the documentary filmmaking company Wisdom Works. Among her productions is the acclaimed documentary Tutu and Franklin: A Journey Towards Peace. Poussaint is the former CEO and co-founder of the non-profit organization the National Visionary Leadership Project, created to record and preserve extensive videotaped interviews with extraordinary African American elders. 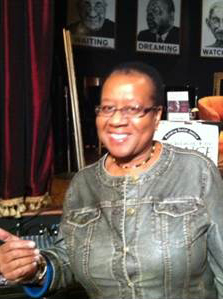 Poussaint is the co-editor of A Wealth of Wisdom: Extraordinary African American Elders Speak. Poussaint is an independent consultant and community activist, working with nonprofits (including Teaching for Change) to help them better define their message for a larger audience. She also continues her local volunteer activities including tutoring. She has a bachelor’s degree from Sarah Lawrence College, a master’s in African studies and African literature from UCLA, and honorary doctorates from Georgetown University and Mount Vernon College. 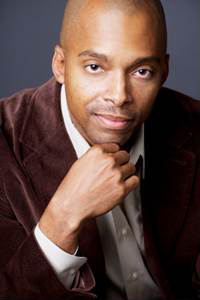 Dr. Khalil Gibran Muhammad is a former associate professor of history at Indiana University and the new director of the Schomburg Center for Research in Black Culture, a division of the New York Public Library. His research examines the evolution of mainstream discourse around black criminality, and past and present connections between racial thinking and racial discrimination among crime-prevention agencies and within the criminal justice system. Muhammad is the award-winning author of The Condemnation of Blackness: Race, Crime, and the Making of Modern Urban America, recently published by Harvard University Press and a former associate editor of the Journal of American History. He and his scholarship have been featured in the Washington Post, on National Public Radio and PBS. He is a great-grandson of Elijah Muhammad, founder of the Nation of Islam, and the son of Ozier Muhammad, a photographer for the New York Times. Jeff Biggers is an award-winning author, educator, journalist, and activist and is well known for his community organizing across the world. 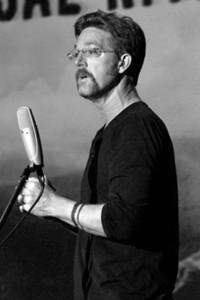 Biggers is the author of several books about environmental issues and activism in Appalachia. His field of expertise includes Ethnic and Mexican American studies and has covered these issues for The Salon, The Nation, and Huffington Post. Biggers has also written extensively on the Highlander Folk School, a social justice leadership training program in Tennessee, and the impact of impact of radical or grassroots education in the South. Biggers has become greatly appreciated in the American southwest, as he helped develop literacy programs in neglected communities. In his forthcoming book, State Out of the Union: Arizona and the Final Showdown Over the American Dream, he traces the history of Arizona’s cultural, education and political conflicts. Jeff Biggers website. Dr. Enid Lee is a prominent leader in the fight for anti-racist education. Lee is a teacher educator, researcher, writer, consultant, facilitator and speaker. She has been involved with professional development of teachers and administrators for two decades consulting internationally on inclusionary education. 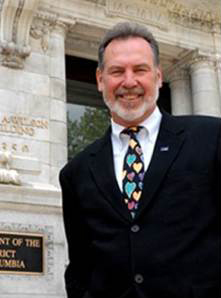 Lee works with urban school districts and individual schools to restructure themselves to receive educational outcomes that benefit all students. Her initiatives have helped teachers and administrators become aware of the skills to create equity-centered classrooms. 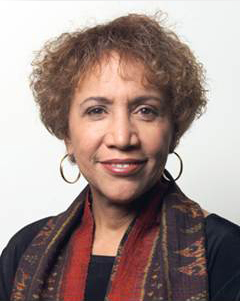 She has also been an advisor to leaders in education organizations on equity issues. Lee has also been the recipient of several awards for her work in anti-racist education and community building among immigrant parents and Black committees. She is the author of over thirty publications and is the co-editor of Teaching for Change’s Beyond Heroes and Holidays. Dr. Bernard Demczuk a historian of African American history and culture. He serves as the Assistant Vice President of D.C. Government Relations for The George Washington University and teaches African American History and culture to high school juniors and seniors at School without Walls. A frequent lecturer and tour guide of D.C.’s and black history and culture, Demczuk is also Ben’s Chili Bowl’s official historian and curator of Ben’s historic papers, documents and photos at GW’s Gelman Library. Demczuk is the driving force behind The Spirit of Black D.C., whose purpose is “to honor, protect, defend, advance and celebrate D.C.’s rich, extensive and diverse African American history and culture.” Demczuk has also served on the Board of Directors of the D.C. Chamber of Commerce, the Legislative and Public Affairs Committee of the Greater Washington Board of Trade, and he is the Vice Chair of the Historical Society of Washington, D.C. He is known for his work in the community, his energetic leadership and his activism in civil rights and the promotion of D.C.’s black history and culture.